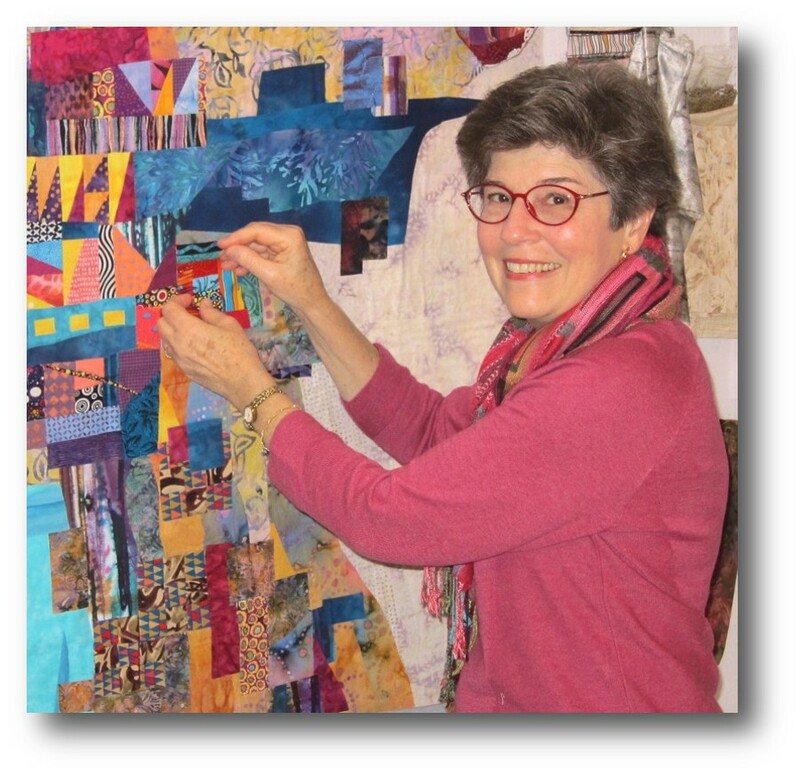 MARYA LOWE jumped into the contemporary fiber art world in 2007, after more than 3 decades as a traditional quilter and professional quilt restorer. A single magazine picture of Venetian glassware sparked the transition. Something about the glassware's design embedded itself in her mind and would not let go. Having reached the auspicious benchmark of "60 years old", she began to reassess her life, her attitudes, her goals, and to reinvent herself accordingly. Delving into textile art took front and center stage. Marya has explored many different ways to create fiber art, following paths that often seemed divergent and unrelated. Gradually, however, recurring themes and overlapping processes began to emerge as the bedrock of her work. Although realism still makes an occasional appearance in her output, her primary delight now is to give color and texture free reign on a purely abstract canvas, and then to contain that riotous interplay within a calm and quiet background. "Whimsical sophistication" is an apt description of her fiberworks, which may be machine pieced or fused, or both. Working in series allows her to explore different faces of the same topic. Commercially printed cottons, silks, hand-dyed fabrics, second-hand clothing, vintage fabrics, beads, decorative threads and yarns, and paint all appear in her work. Marya's work has been shown at local and national shows, and in solo and special exhibits. Some of her pieces, including commissioned work, are already in private collections. She is a member of a local quilt guild, Studio Art Quilt Associates, the New England Quilt Museum, and Surface Design Association.